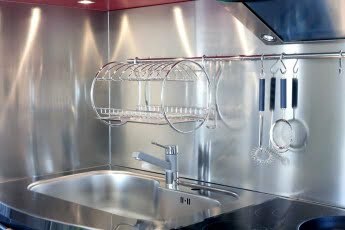 Hobbs & Porter make bespoke stainless steel kitchen splashbacks domestic and commercial kitchens throughout the UK. 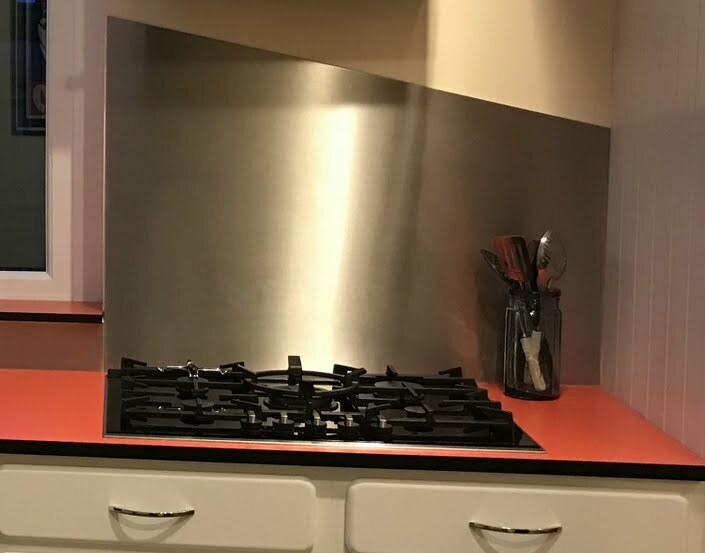 Stainless steel kitchen splashbacks with cutouts for 13Amp electricity sockets and worktops in domestic kitchen. 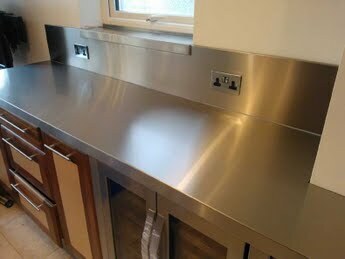 Stainless steel worktop with welded sink and splashbacks. Integrated lighting mounted on top and behind splashback. 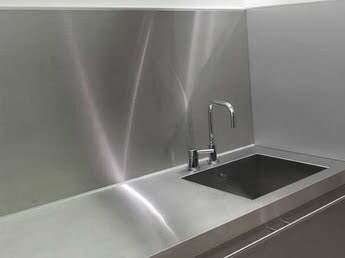 Stainless steel splashbacks 600mm high with square edged worktops with integral sink. 600mm wide x 750mm high, 700mm wide x 750mm high, 800mm wide x 750mm high, 900mm wide x 750mm high, 1000mm wide x 750mm high, 1100mm wide x 750mm high, 1200mm wide x 750mm high. but we can make them in any size to your requirements. 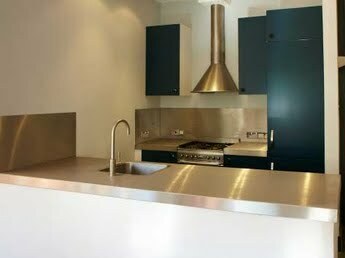 Stainless steel splashbacks with a stainless steel 13A double electrical sockets muonted on outside wall. Stainless steel window sill fitted to lip over the splashback. Hygienic food grade silicon joint between splashback and steel worktop. Worktop has been fabricated to fit around kitchen wall pier.